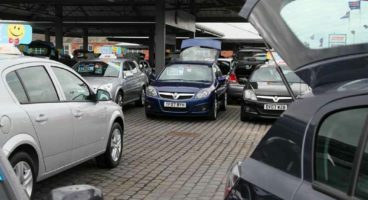 Trade prices for good quality used cars have reached a level where it is almost impossible for many dealers to make a profit on the windscreen price and they are instead relying on returns from their F&I department, says the Vehicle Remarketing Association. Glenn Sturley, chair at the VRA, said: “If you gather two or more motor trade people in one room at the moment, the talk is inevitably about the level of trade pricing. I’ve been in the industry since the 1960s and I can recall few moments like this when demand was driving prices so close to retail levels. Glenn said that the situation was also bringing about a number of other notable effects across the industry. “Perhaps predictably, we are hearing that there is increased demand for grade 2 and 3 cars from buyers who, in the past, would only consider grade 1 vehicles, a shift that is being driven largely by necessity because of shortages of the best stock and high prices. Glenn said that the VRA expected the situation to persist at least until the first quarter of 2019. “Given the backdrop of Brexit, predicting the future is a difficult game at the moment but consumer confidence remains very resilient and we do not believe there will be a softening of trade values until at least the end of Q1 of next year.